I was running late this morning. I showed up just as the networking and breakfast portion of our event was wrapping up; right before the program was to begin. 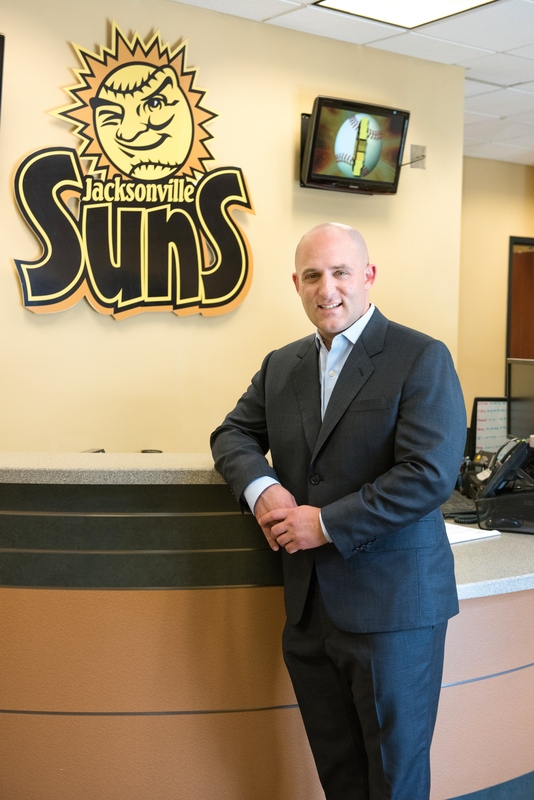 I wasn’t in the room a minute before I was greeted with a warm smile and firm handshake and realized I was being greeted by our guest speaker for the morning, Ken Babby, who is the new owner of our Jacksonville Suns baseball team. Ken didn’t have a fancy Power Point presentation. Instead he just took the stage and shared his story. Ken comes from a family who works in the sports world and he has always been fascinated with how communities can come around sports. He has observed how sports can transform a community. People who may be challenged at home, on the job, or just feeling weary from the daily grind can enter a sports venue for a couple of hours and literally check their problems at the door. Although Ken’s passion was always sports, he was encouraged by his father and other mentors to get a job outside of the world of sports for awhile. Being from the Washington, DC area, Ken landed at The Washington Post. During his 14 year tenure there, Ken observed first hand how the media world was changing. With each passing year he witnessed less people going to the traditional print version of their favorite newspaper and getting their information from so many other different sources. He saw that in a world of disruptions where so many companies are competing to get their message across to the consumer, a company had better adapt or it will die. Ken was inspired by the late Steve Jobs who knew that customers every day get a chance to decide whether they want our products or not. When Amazon’s founder Jeff Bezos bought the Washington Post a few years ago from a family who had owned it for 80 years, he saw the tide was changing. The Washington Post was no longer a local Washington DC area newspaper. It was now a global media institution. How do we get from the Washington Post to baseball? 1, Reached out to the community and asked if they could change the name of their baseball team, what would they name it? It turns out that the citizens there identify strongly with the rubber industry. 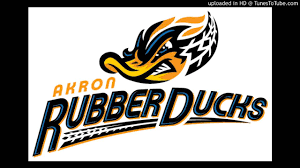 Hence, the Aeros became the “Rubber Ducks”. 2. Treated people well by offering the fans a clean park, lower prices for food and tickets, and put in a tiki bar which was a great novelty for this mid western town. 3. Went out into the community with their mascots to places like the local children’s hospital. What was the result of these efforts? In four years there was a 27 1/2% increase in fan attendance which was the largest increase witnessed in any professional sport. Now, Ken is excited to be here in Jacksonville to offer Suns fans an excellent fan experience as well. $2,000,000 has been invested in facility upgrades including fresh carpets in the luxury suites and a large tiki terrace. There are $5.00 tickets and a lot of fun activities that go on between innings such as getting splash toys out for the kids. Every Sunday the park opens early (at no extra charge) so that families can come out to the field to play catch and get players’ autographs. Great traditions such as Thirsty Thursday and Friday Fireworks will continue. The food is delicious and he was very excited about the American grilled cheese sandwiches. Ken invites families, groups, and businesses to come on out to the park and experience a Jacksonville Suns game. 1. Consumers have a choice whether they are going to spend their time and money on our products or services every day. 2. To survive in today’s business climate a company needs to be willing to evolve and adapt. 3. 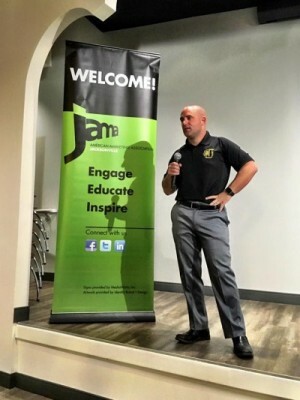 In the world of sports (this lesson can apply to other industries), there needs to be a connection with the community. Ken hopes that by offering Jacksonville affordable family fun and connecting with our community, he will excel on the Fan Happiness Index. What is that you ask? Just look around and count the smiles.